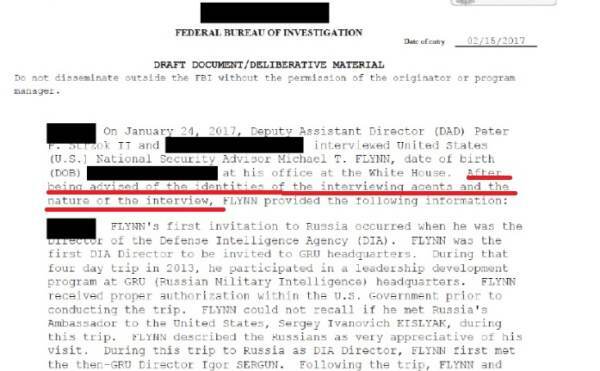 FOX News attorney Gregg Jarrett and investigative reporter Sara Carter joined Judge Jeanine Pirro on Hannity on Monday night to discuss the FBI 302 report on Michael Flynn that was released on Monday. Judge Emmet Sullivan will sentence General Michael Flynn on Tuesday. On Monday night Judge Emmet Sullivan demanded Special Counsel Robert Mueller to release the original 302 report from the Michael Flynn interrogation in January 2017. The Strzok and Pientka 302 report was finally released an hour later. Sara Carter pointed out the the Special Counsel open their 302 report with a proven lie. This is a complete lie. They hid the nature of the purpose of their discussion and even told General Flynn that he would not need an attorney present. They stopped by and joked with Flynn as he took them on a tour of his office. He had NO IDEA the nature of the interview. He had no idea it was a setup to destroy him. Here is the video tonight from Hannity.